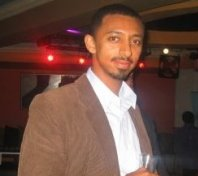 Director Yehdego Abeselom was born and raised in Ethiopia. He arrived in the United States at the age of 18 and attended school in Boston studying business management. Driven by his dream to make movies, he moved to California to attend Chapman University. There, he had an opportunity to direct and produce several short films, one of which received substantial acclaim and was nominated for best action drama at the Chapman Student Awards. Yehdego has taken advantage of working with Overview Management, Mandalay Entertainment, HBO films, NBC Productions, and Sony Pictures Television, just to name a few. Yehdego is a very visual director with an ability to visually say something in his films. Coming from another nation, cultural differences are in the forefront of Yehdego’s life. He wants to make films that cross borders and break barriers.